Gigabyte Server launched a new 2U single socket AMD EPYC platform. The Gigabyte R271-Z00 uses a few components we have seen before. The AMD EPYC platform has expansive single socket capabilities alongside extremely aggressive CPU pricing. 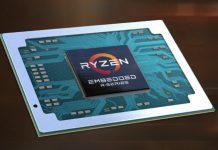 That gives the platform a clear advantage over Intel in this segment on a price performance basis. 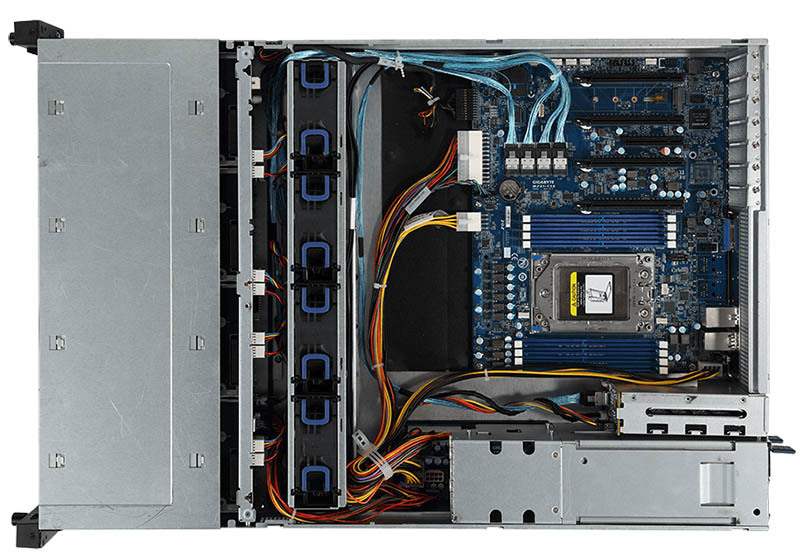 If you saw our recent Ultra EPYC platform, we used a sister motherboard to what is used in the Gigabyte R271-Z00. 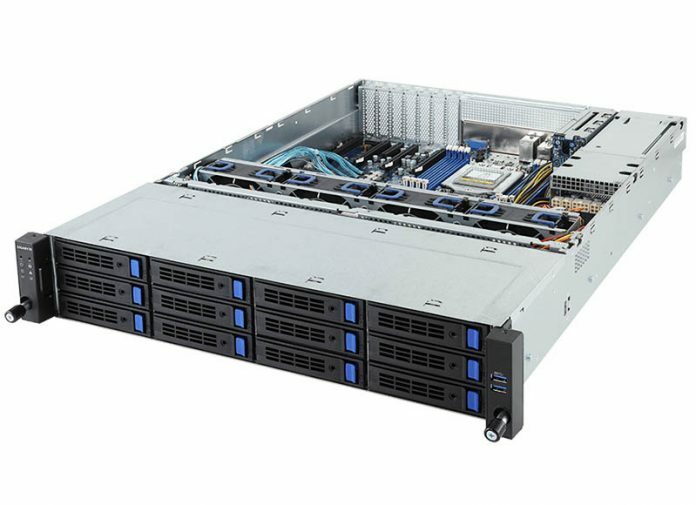 The Ultra EPYC utilized a Gigabyte MZ01-CE0 which has onboard dual 1GbE and dual 10GbE. The Gigabyte R271-Z00 utilizes the MZ01-CE1 which does not have the 10GbE. The rear of the chassis has dual redundant 550W power supplies, as well as two 2.5″, hot-swap bays. These 2.5″ rear bays are popular for OS boot and caching applications. The M.2 drive slot along with the other PCIe slots provide ample room for NVMe caching. We, therefore, think the 2.5″ bays will be used mostly for the OS. One will notice a familiar strategy in play. The motherboard used here is the same one that can be found in the Gigabyte W291-Z00 AMD EPYC GPU tower. Gigabyte is using a standard ATX form factor and proliferating the motherboard design to different chassis and using it for multiple applications. I would have much preferred getting 1 more M.2 slot instead of the PCI x8 slot… and giving up an x16 slot for a couple of U.2 drive bays. Hey Cliff, since Patric has one of these boards, can we get a decent write up on one? I’d like to see the differences between the Gigabyte vs say a Supermicro board. Especially when it comes down to ipmi/remote maintenance and other standard-ish features. Micah I can take that one. We will have reviews of both the MZ01-CE0 and -CE1. The -CE0 testing was completed when it was put in the Ultra EPYC. The -CE1 will arrive this week and start testing. 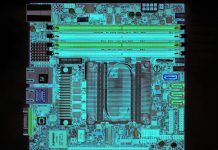 We actually tested one of the Supermicro H11 ATX boards in the context of a 1U server last year. That’s great Patrick! I look forward to reading the articles!